At Beyond Skin Beauty, our brands are iconic. Innovative. Leaders in the industry. With our origins in beauty salons for over 20 years, we understand that not all clients are the same, therefore providing salon quality products is at the heart of our company. The passion of new ideas and always creating the best in the tanning industry is the driving force behind our success. Partnering with us ensures your business will be supported and supplied the best and most state of art products in the market. 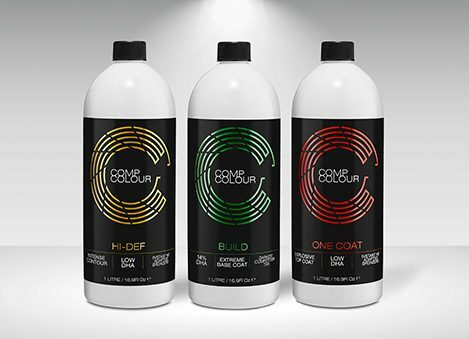 Australian made and owned COMP COLOUR is raising the bar in the world of competition tanning, developed with the idea to generate a powerful tanning-range envisioned for the world of competitions. COMP COLOUR backs explosive results, arming competitors of the; bodybuilding, cheer and, fitness industries with the latest of tanning technologies. Built for endurance these elite products are powered by high concentrations of natural & certified-organic, active ingredients to amplify your competition tan. THE ORIGINAL Infused Argan Oil Spray Tan. Harnessing the important properties of naturally-derived and ethically-sourced ingredients from across the globe, the MoroccanTan range works effortlessly to create nourished skin and an envious all-over glow. Through the unrivalled properties unearthed in pure organic Argan Oil, it is the culmination of this powerful antioxidant, Organic Rosehip Oil, Organic Aloe Vera and a multitude of premium ingredients, that the renowned range ensures a deeper, richer and longer lasting seamless tan. Our expert team have sourced the very best products and tools that encourage creativity and innovation in the world of tanning. We are committed to sharing our knowledge of the industry- to the industry. Your one stop spray tanning destination, offers Australia and New Zealands largest range of spray tan brands that suit the professional or home tanner.